Meeting Richie and being married to him is one of the greatest highlights of my life. There’s nothing more wonderful than being married to your best friend. 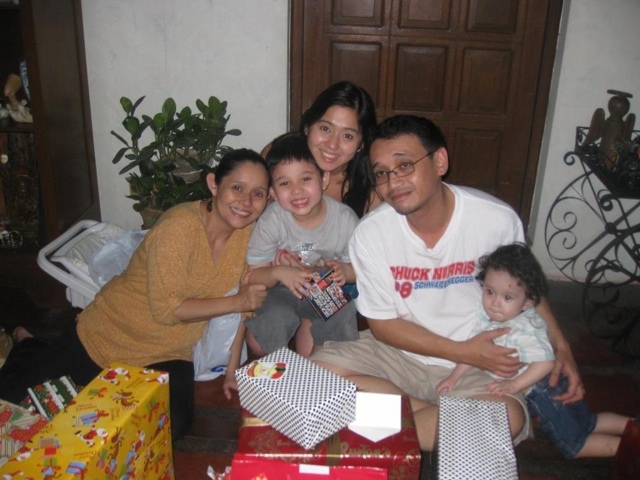 With Richie, I did not only gain a partner, but I gained another loving family as well. Let’s face it, those drama situations in most telenovelas wherein the wife doesn't get along well with the in laws do happen in real life. And I thank my God everyday that I do not have to got through that. I now have another sweet and amazing family! This is how I met my sweet new siblings! 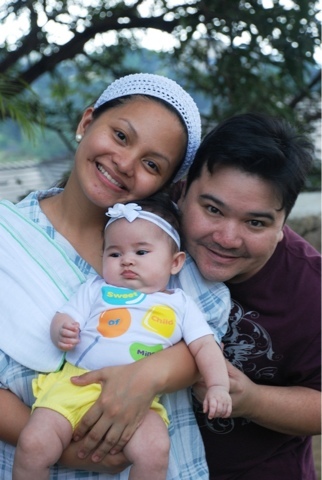 Ryan, Rose and Raquel. The thing about Raqs and Julio is they love teaching their kids different genres of music to a point where their first boy Gael would know more alternative songs at the age of 2 or 3 than I do at the age of 30. (Such a shame on my part!) Cara on the other hand, has grown up beautifully with a really beautiful singing voice (she was a lead singer of their high school band, and played the lead at their school’s The Wiz play and a lot of other amazing achievements(don’t kill me Cara hahaha), and Matteo is a natural born dancer at an early age of 2! His specialty? Gangnam style hahahaha! All their kids are musically-inclined in their own little ways! Anyway, I remember chatting with Raquel one afternoon and she passionately told me about a t-shirt idea that she and Julio dreamt of creating into a business. I couldn't remember how long ago it was but before I knew it,they were fixing business papers, scouting the best shirt suppliers, and working on designs for their first line of shirts. And so, on the month of August 2011, Bug and Kelly was born. 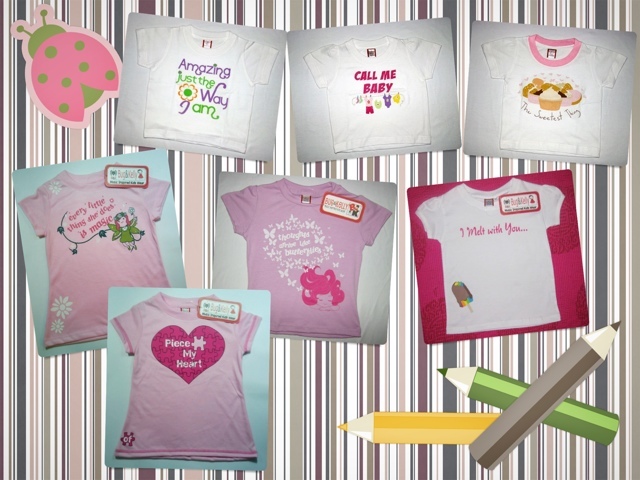 A brilliant children’s shirt line with designs based on famous lines from famous songs! Bug and Kelly shirts are good throwback conversational piece. 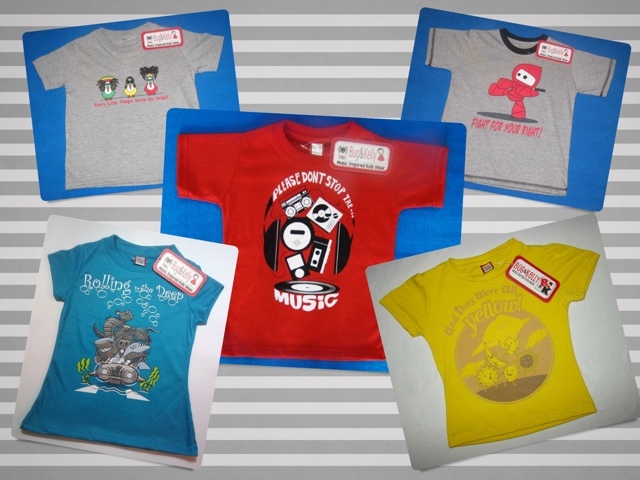 As soon as you see their witty song designs, it’s hard not to smile and sing the song when you read the print on the shirts and reminisce the good ol' days when some of those songs were famous during your time. 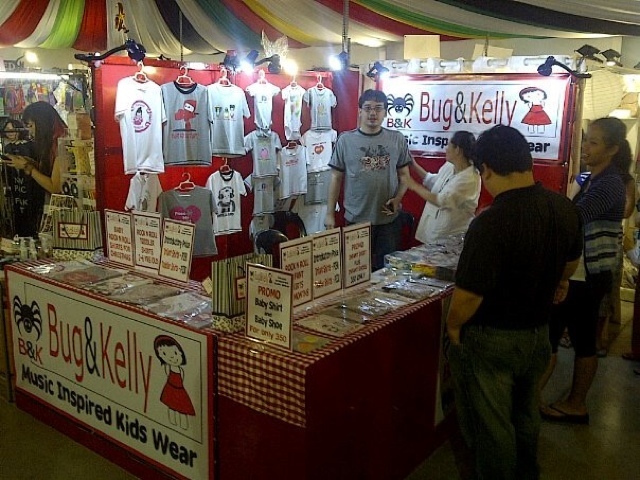 Bug and Kelly uses soft cotton blends of cotton poly and cotton spandex. It’s very soft and comfortable for infants and even for very active toddlers. 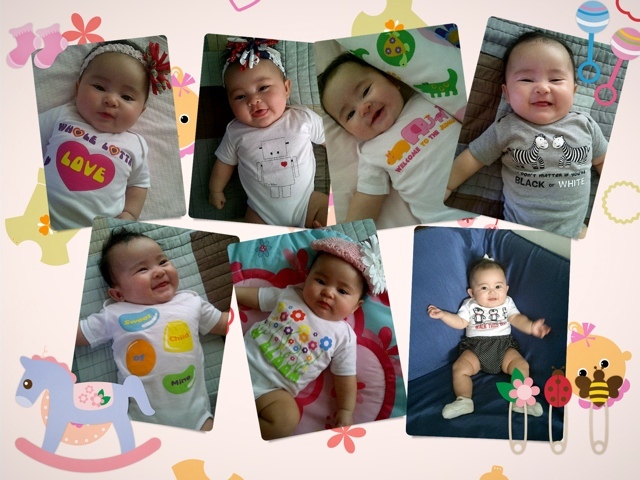 Our little Rainbow, though very much unaware of what was happening in her surroundings, became a shirt model for Bug and Kelly at the young age of three months old! See her first collection of Bug and Kelly onesies above and see if you can name that lyric! 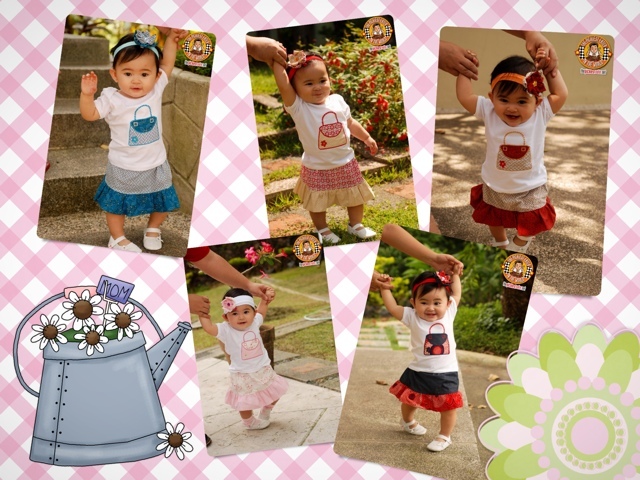 Not long after, they created delightful sets for toddler girls composed of a super soft and stretchy top with a lovely patch design + matching fluttery skirt + a blooming headband! All designed with love! It just makes you want to collect them all! And guess who modeled for these new sets? 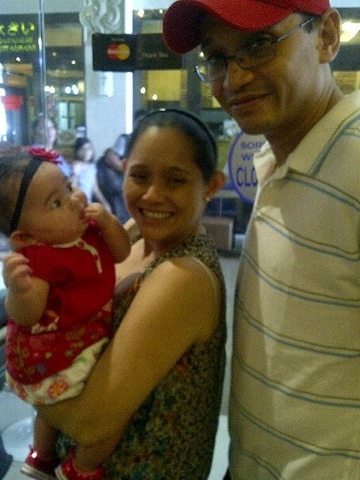 Yes, our Baby Rain when she turned one! In fact during Rain’s first birthday, The Pickiest Eater did a “Rain’s 1st Birthday Giveaway” and three lucky readers won one set each! I am so proud of Bug and Kelly for being in practically each and every baby/kid expo you can name especially Karl Edwards (which is supposedly hard to get into) and being featured in famous mommy blogs like Bebengisms. They have really come a long way and it’s just amazing how it started from a dream and worked their way for it to become a reality. 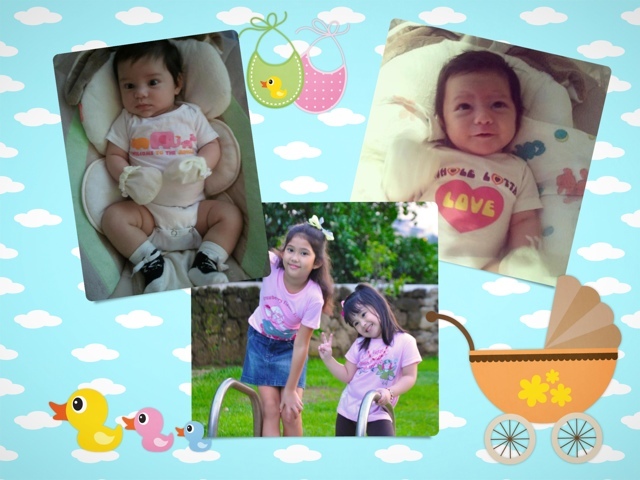 Not only is Rain growing up to be popular in her dad’s blog and wearing Bug and Kelly’s adorable clothing, but more importantly, she is growing up surrounded with lots of love from her loving godparents and uncle / aunt Julio (Bug) and Raquel (Kelly)! To Bug and Kelly, please don’t stop the music! More power! 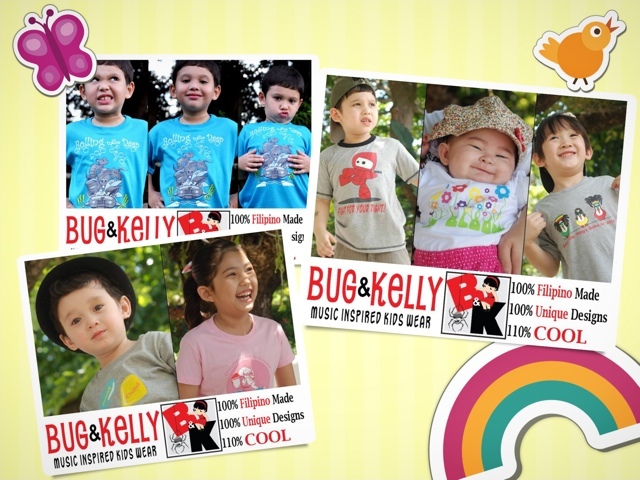 Be updated with Bug & Kelly’s new musical and witty designs!Like them on Facebook and follow them on twitter! Hi Denise!!!! Yes famous na no! ;) thank you so much for your comment! :-) we heart B&K!!!! do they have a store? ?